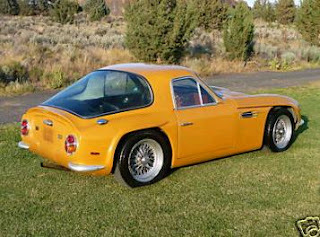 Most people think of a TVR as a car with at least a 6 cylinder engine in it and often an 8. 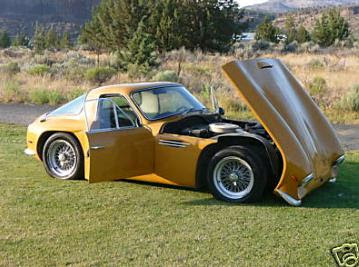 But TVR made their share of 4 cylinder cars and this is one of them. 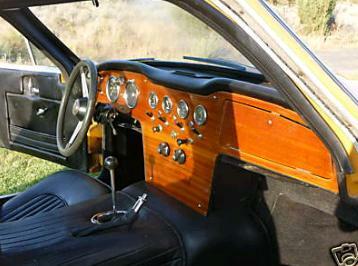 The Vixen was launched in 1967 and was, for all intents and purposes, a TVR Grantura 1800S with a different engine. The fiberglass car weighs just over 1600 lbs and performance isn't bad at all. 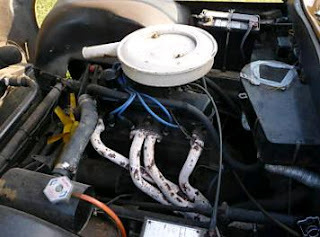 The Ford Cortina GT engine (the Grantura used an MGB engine) puts out just 88 HP, but that's enough to get the car to 60 MPH in just 10.5 seconds. It has a top speed of around 110 MPH. (The Grantura took 9.9 seconds to get to 60 and had a top speed of around 115 MPH.) Even though it's sitting on a chassis designed in 1950s, the Vixen's handling is pretty good, at least on par with most 4 cylinder British sports cars of the day. The seller says that you can "jump in and drive" this car, as the "engine, transmission, and drive train are excellent". It recently had all of its clutch and brake hydraulics overhauled. He also says the the paint is either original or a very good respray as he can find no overspray on the car. There is a "chip" missing from the drivers side door. Parts-wise, a TVR is not a scary car to own. Like most small British car manufacturers, TVR used a lot of parts from other, larger companies and that makes most of the mechanical and some trim parts easy to get. Parts specific to TVR are tougher to get, but there are several excellent TVR clubs that can probably help you out. I really like TVRs and will own one someday. But, it will be a later, wedge shaped 280i (or one of its variants) and not a Vixen. However, if you're looking for an old school sports car - something comparable but different from a similar vintage MGB - a Vixen is worth checking out. Located in Sagle, ID, click here to see the eBay listing.